Rickey Henderson in San Diego. Like most people from my generation, there was something about Rickey Henderson that sparked my imagination. I’d be lying if I said I didn’t try to emulate him as a kid. In little league, I wore his trademark neon green padded Mizuno batting gloves and subscribed to the Rickey frame of mind that “If my uniform doesn’t get dirty, I haven’t done anything in the game.” This is something I still carry with me to this day while playing. 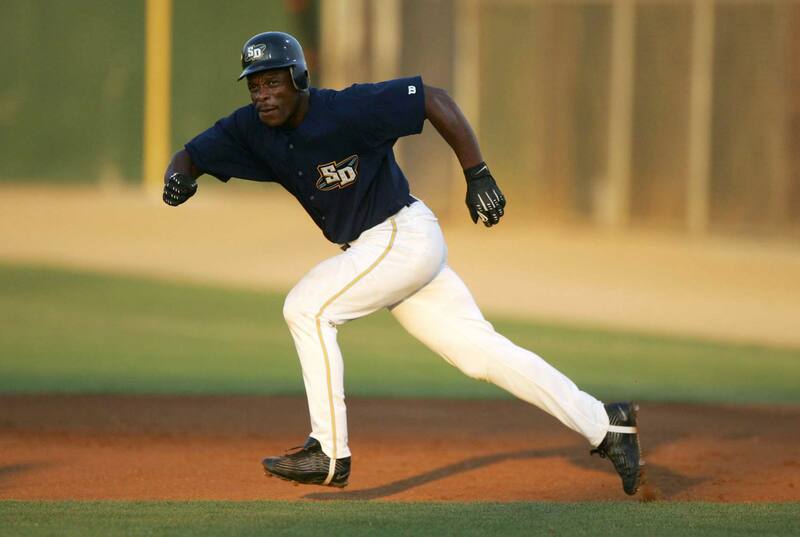 I was legitimately excited about Padres baseball from 1996-1997 and again in 2001, solely based on the fact that Tony Gwynn and Rickey Henderson were both on the team. I think you get the idea, I loved Rickey Henderson and his time he spent playing baseball in San Diego. Jerry Coleman’s enthusiasm after Rickey goes yard is amazing and makes me miss The Colonel even more. Jack Murphy Stadium with it’s palm trees. I don’t care what anyone says, they were awesome. The cast of characters that come out to congratulate Rickey brings back some serious memories. The one that got me was Mike Darr. It’s so weird to see him and know that his life would end in a little over 4 months from this day. Tony Gwynn presenting Rickey with the ceremonial gold base at the end of the video. 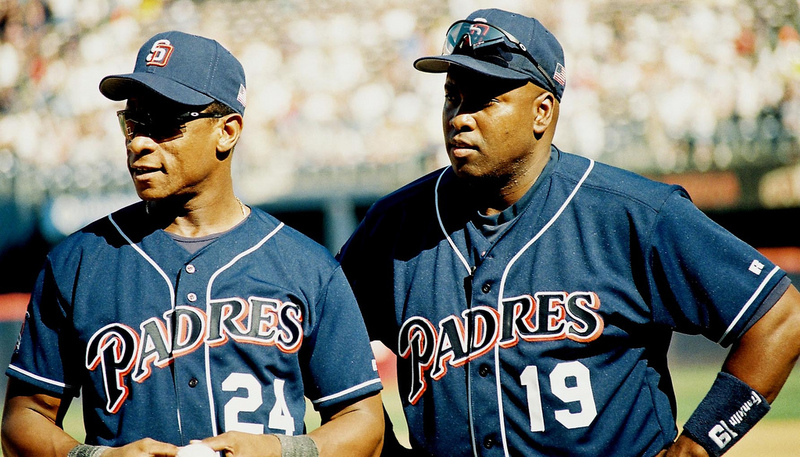 October 7th, 2001 was a special day in San Diego sports history due to the fact that Rickey Henderson and Tony Gwynn both wore a Padres uniform for the last time. For Gwynn, it was the last game of his playing career and for Henderson, he got his 3000th career hit. Rickey lead off the game with a double for his landmark hit, which you can watch HERE. The story goes that Henderson did not want to play that day, as he feared it would be a detraction to the celebration of Gwynn’s last game. Tony wasn’t having this and insisted that Henderson play. 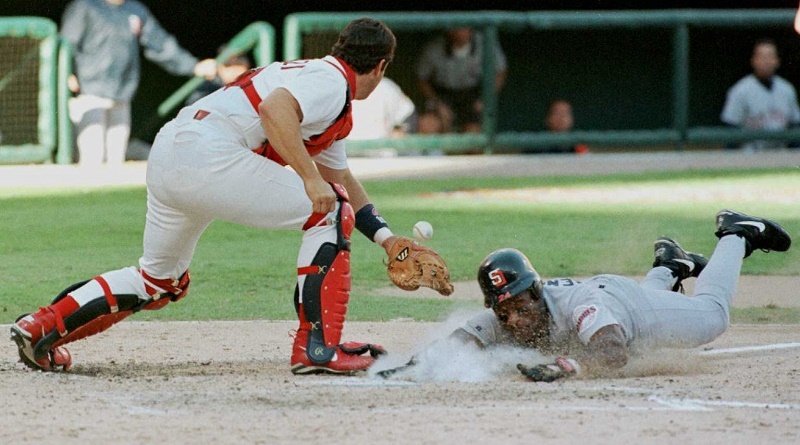 Rickey was pulled from the game after scoring in the first inning, but in the bottom of the ninth inning, he re-entered the game as the third base coach, when Tony entered the game as a pinch hitter. Unfortunately he grounded out to the shortstop in his last at-bat, presumably while trying to knock the ball through the 5.5 hole. 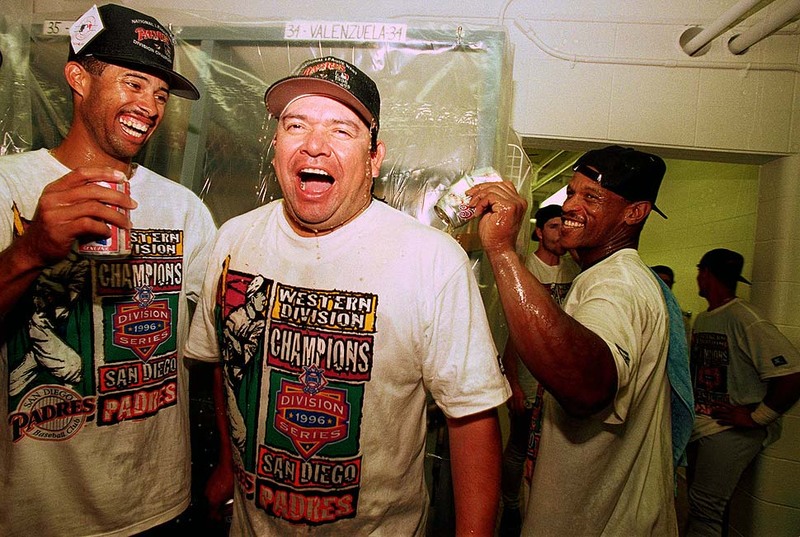 Dario Veras, Fernando Valenzuela and Rickey Henderson celebrate after beating the Dodgers on the last day of the 1996 season and therefore becoming the National League West champions. For most people, this will always be considered the “Chris Gwynn” game and should rank highly in San Diego’s greatest sports moments. One of the cooler aspects of this play is that Chris Gwynn scored right before him (on a Tony Gwynn single) and Rickey scored right behind the younger Gwynn on a bad throw. If you look at the Getty Images photo of this, you see Chris on his knees, signaling to Rickey to get down with a slide. It’s definitely a cool photo worth checking out. This entry was posted in San Diego Padres and tagged 1996 NLDS, 1996 San Diego Padres, 1997 San Diego Padres, 2001 San Diego Padres, Atlantic League, Dario Veras, Fernando Valenzuela, Golden Baseball League, Independent Baseball, Mike Darr, Newark Bears, Rickey Being Rickey, Rickey Henderson, San Diego Padres, San Diego Surf Dawgs, St. Louis Cardinals, The 5.5 Hole, Tom Pagnozzi, Tony Gwynn, Ty Cobb by duaneharris19. Bookmark the permalink.